As sales leaders, we’ve all heard the following from our experienced sales reps when we ask them to enter their daily activity into CRM or to follow our preferred sales process, “Don’t worry, I’ve got this covered” or “I’m a professional; this isn’t my first rodeo you know.” What these reps are really saying is that they don’t want a sales manager looking over their shoulder and following their every move. Since they have been successful in the past, they assume that they will be successful in the future. But the relationship between the buyer and seller is changing rapidly in today’s world, and these veteran reps aren’t always keeping up with the times. We don’t have to look back too far to remember how sales used to occur. Before, and even during the early days of the internet, if a buyer wanted to learn about new products or services, they had to go to the source of information. Meaning they reached out directly to companies to learn about their products or asked colleagues for recommendations. This put much of the control of the sale in the hands of the sales professional. He or she could dole out information in ways that fit almost any prospect’s needs; denounce the competition; or provide pricing to fit the situation. But as information became easily accessible on the web, the power in the buyer – seller relationship shifted dramatically. Today’s buyer can quickly learn about virtually any product or service. A quick search will not only bring up information about your product, but your competitors’ as well, along with what others think of your product, what the average price is, and more. By the time a connection is made between a prospect and your company, they are well informed. Have they uncovered the needs of the prospect? Have they received an acknowledgment of these needs from the prospect to ensure they are seeing things eye to eye? Have they engaged with the correct buyer personas (business decision maker, technical decision maker, influencers, etc.) at the target company? Is there positive two-way email communication between the parties, or is it mostly a one-way street? Has the appropriate support material at this stage of the sale (case studies, success stories, price quotes, etc.) been presented to the buyer? All of these things need to happen to move the opportunity to a successful close. But ask your veteran salespeople to enter each email in CRM, or add notes about the progress of the deal, or confirm that a relevant case study was sent, and you are sure to encounter resistance. Great salespeople and especially great veteran salespeople hate to enter data into the systems that we, as sales leaders, need to make our sales forecasts and other decisions. They’d rather tell you that they have all the information in their head and they have a gut instinct about which deals will close. But because accurate forecasts are required of us, we can no longer rely on these feelings or instincts. We need to feel confident about the projected sales number we provide to others in the organization. Let systems using artificial intelligence and machine learning assist in the tracking of activities and provide just-in-time coaching to reps without a single new data point being entered. Intelligent software can crack open emails and interpret the sentiment of the communication between the buyer and seller. It can remind the rep that a particular success story would resonate with their decision maker at this stage of the sale. It can alert the account executive that similar deals required many more contacts to usher the deal through than the single decision maker they are dealing with in this current opportunity. It can point out that a certain level of commitment is required from the buyer at this stage of the opportunity, or it is most likely going to fail. With systems that are available today, you can reach the promised land of predictable sales revenues coming from highly productive, and happy, sales executives. Editor’s note: this is a guest post from sales leader Nelson Greenwood. 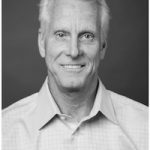 Nelson is a seasoned entrepreneur and SaaS Sales Leader, having run several multi-million dollar software companies over the past 30 years, most recently VP Sales at Digital Map Products.